Can you believe that the week of Easter is here?! If you’re like me, you’re putting the final touches on meal preparation, travel arrangements, and Sunday morning attire selection (which was always my favorite part growing up—pastel dresses and white shoes!). 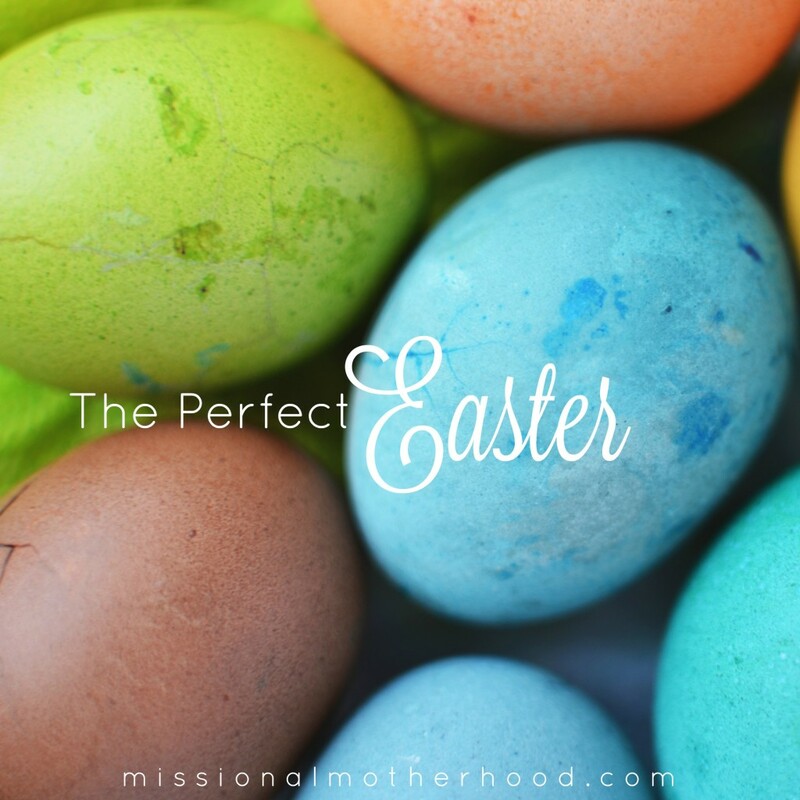 It’s easy for a mom to spend a lot of time and energy in trying to put together the ever-elusive Perfect Easter, and then feel disappointed when it doesn’t quite line up with expectations. And I just want to encourage you; the Perfect Easter has already been planned and perfectly executed—for us. In the busyness of preparing for an occasion like Easter, it’s easy to become like Martha, focusing so much on the work to be done (Luke 10:38-42) that we forget what is most important—the work already accomplished by Jesus on our behalf. At just the right time, and just like the Father said He would, Jesus burst into our broken world to rescue us from sin (Gal. 4:4,5). In taking the punishment of our sin upon Himself, He cleared the way for us to be made right and reconciled to the Father (2 Cor. 5:21). In defeating death and walking from a tomb He once occupied, He showed the resurrection power that He enacts in the life of every believer (Rom. 8:11). 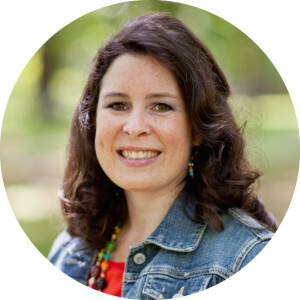 Point your kids this year toward the real Perfect Easter, the one that God planned and perfectly executed in Christ, removing from us the unbearable weight of trying to do things to make Him happy. While the resurrection of Jesus occurred over two thousand years ago, we can live in the hope, victory, and life that it brings to us today! As you set the table with beautiful flowers that have just sprung up, set your mind also on the miracle of new life that we have been given in Christ. As you move furniture to make room for more guests, consider the ways in which God moved heaven and earth to bring you closer to Himself. As you spend time preparing a delicious meal, rejoice in remembering that Jesus has prepared a place for you, with Him, for eternity. As you look into the eyes of your little ones with love and gratitude, know that the greatest of affection you have for them pales in comparison to the love our Father has for you. My mom may not have felt like she “nailed it” on dessert that year, but there is something that she gave my brother and I that lasted longer than a sugar high (and coconut between my teeth). She was faithful to share the Gospel of Jesus with us. I cannot thank my mom enough for being the primary teacher and demonstrator to me about Christ and His love. She is the one who lead me to Christ, and I want nothing more than to be this kind of influence in my boys’ lives as well. As a mom, our words and love have an eternal impact on the souls of our children—there is no greater work that we can be a part of! May we each embrace the small and simple moments this week, the ones we can leverage to speak of Christ and His love for each of our children. May they see gratitude in our countenance and hear the awe in our voice when we explain that Jesus took on our sins, died on the cross, was raised from the dead three days later, and is now alive and seated at the Father’s right hand! My prayer for us as moms is that the Lord would restore to us the joy of our salvation (Psalm 51:12), and remind us of what a miracle salvation is. May we not look past it, or glance at it, but allow our minds to saturate in His TRUTH. When we wake up each morning, whether we feel it or not and whether the circumstances around us convince us of it or not, may we fix our hearts on the FACT that the cross means we are loved. Easter means that Love is victorious, and He will not stop loving us because the highest price has been paid to bring us to Himself. May we live each day believing this and imparting this truth to tiny human minds that will join us in worship to our Savior. What are some of your favorite memories of Easter as a kid? What is one thing you can do this year to point your kids back to the story of the First Easter?